Need a rapid escape from your day? Put on your earphones and watch this dizzying time-lapse video at full screen as meteors from years and years of showers fly across the sky. 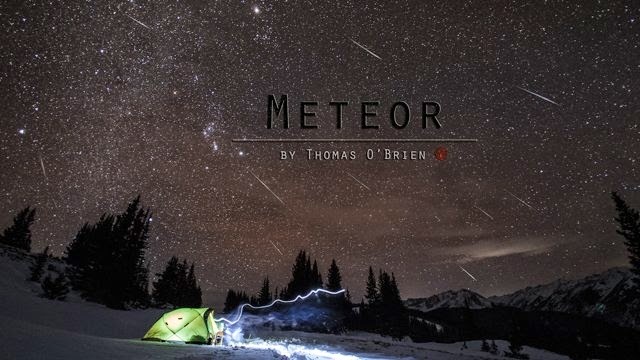 Thomas O'Brien report and edited this video, which captures the Perseid, Geminid and Leonid meteor bursts, occasionally viewing the path of the meteors beside the long-exposure star trails. Watch it in HD if you can to see even more meteors flying beside your screen. You can also read O'Brien's instructions for photographing meteor showers and see more of his photos at his website.